Such a colourful and yummy Western platter! Having heard good reviews on Hotel Relax group, my BFF and I decided to stay for a night at its No. 2 (3*). It's situated pretty close to Taipei Main Station for us to catch a train to Taroko the next morning. On top of a few free-flow items, each guest gets one plate of Western breakfast. There wasn't anything that I disliked from the platter as everything was executed well. The toast was crunchy, while the bacon and mushrooms were juicy. Besides that, the scrambled eggs were moist, accompanied by edamame (Japanese salted green soybeans) sautéed with bell peppers. 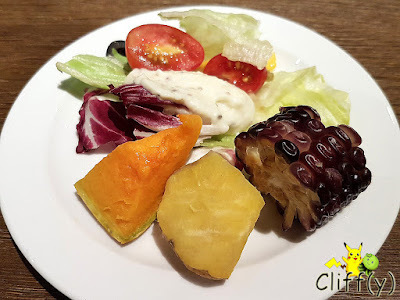 The vegetables for the salad were adequately fresh and crisp. The steamed pumpkin and sweet potato actually had the right amount of natural sugar. Unfortunately, the purple corn was dry. 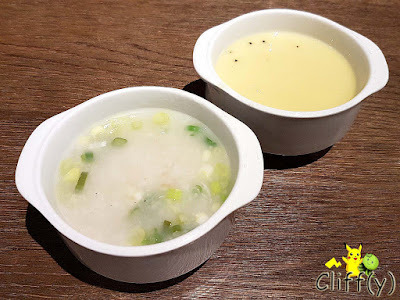 The porridge cooked in chicken stock was mildly flavourful and thick enough for my liking. The cream soup made of blended corn kernels was pretty luscious, prompting me to go for a second helping. 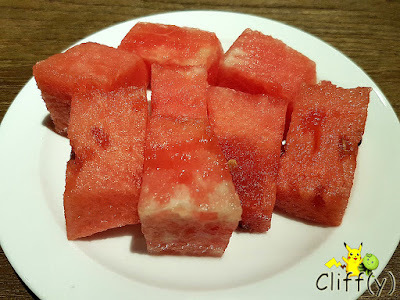 The watermelon cubes were juicy enough, although it'd certainly be better if they were sweeter. The coffee was of medium strength, to which I added some milk. 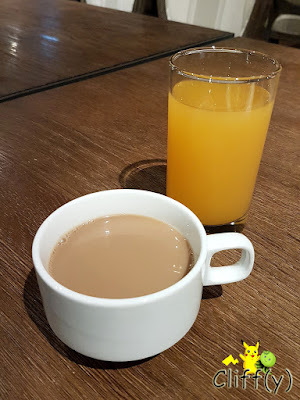 The mango cordial drink was a bit too sweet for my tongue as it was quite concentrated. 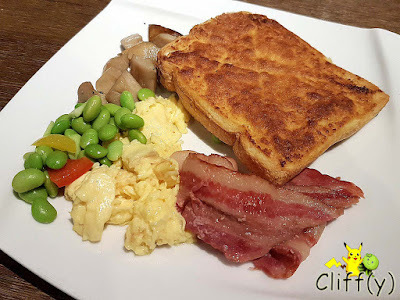 Pika's advice: I know there are many eateries serving good breakfast out there, but why not give the main dish a try? 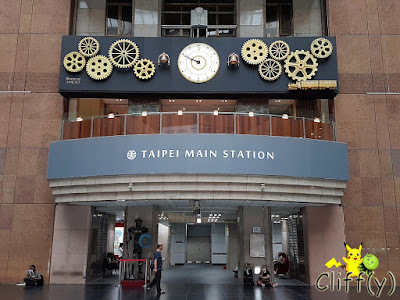 After enjoying our breakfast, we proceeded to check-out and went straight to Taipei Main Station.